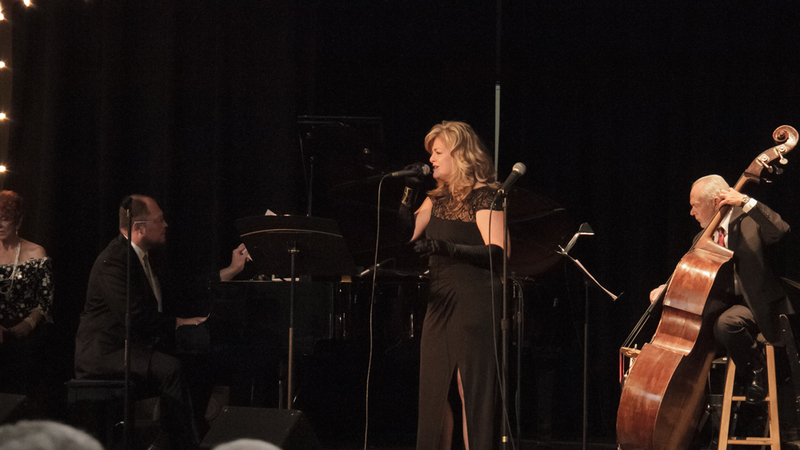 This lovely lady will be performing at the Oklahoma Jazz Hall of Fame this Sunday June 7th from 5-7 pm. Accompanying her will be Dean Demerritt, Frank Brown, Wade Robertson, and Mike Leland. Angie’s voice has been described as “rich and heart melting” and her performances are mesmerizing. It is that voice that causes one to conjure up comparisons to Linda Ronstadt, Ann Wilson, Sarah Vaughan, Patsy Cline, Karen Carpenter, Etta James, and Eva Cassidy. 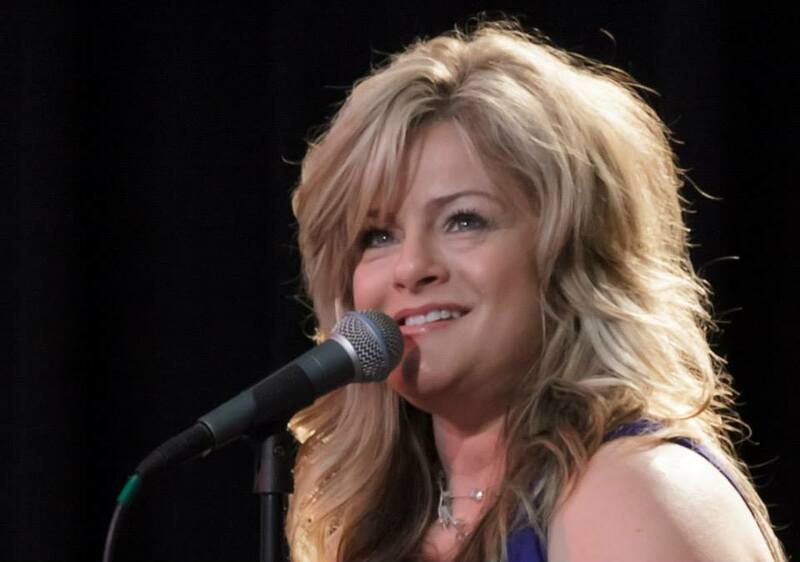 Growing up with influences like Barbara Streisand, Ella Fitzgerald, Stevie Wonder, The Beatles, Patsy Cline, James Taylor, Carole King, and Eva Cassidy, Angie’s versatility spans jazz, contemporary Christian, Gospel, country, blues, and soft rock. 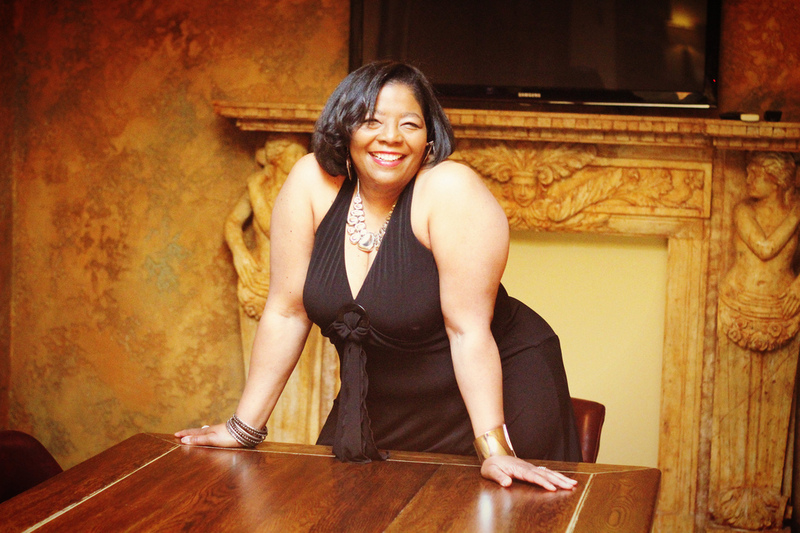 This award winning vocalist has been a staple in Tulsa’s music community for several years and her genuineness on and off the stage has endeared fans both young and old. 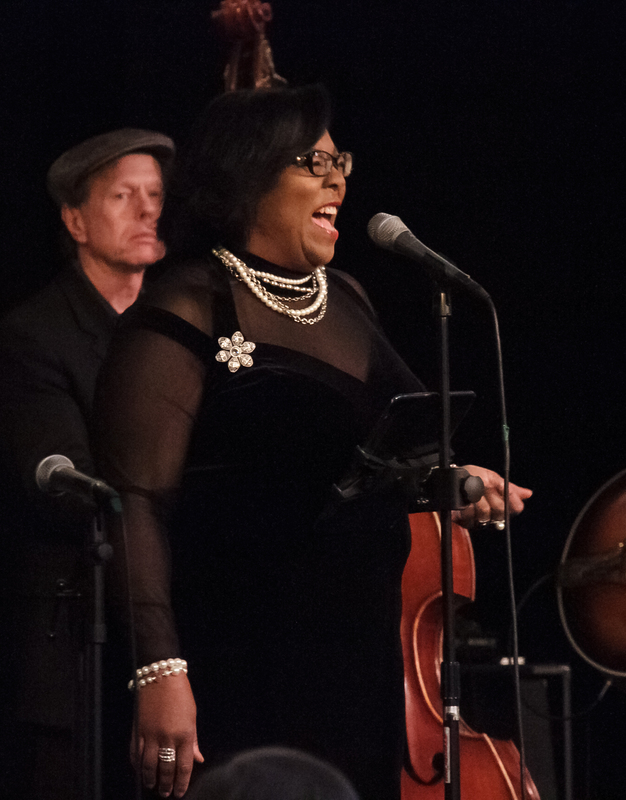 She’s been a shining star on the Jazz Depot’s roster of performers for several years now and we would like to thank the Oklahoma Jazz Hall of Fame for having her back and for all they do in the community. This is a must see show! For tickets call (918) 928-JAZZ or visit www.JazzHallTickets.com. Members and Seniors enjoy discounted ticket prices at $10.00 each. General Admission tickets are only $15.00, or $20.00 for Reserved Table Seating. High school and middle school students admitted for only $5.00. The event is a part of the Jazz Hall’s 2015 Summer Concert Series. Here at Tulsa Jazz, it has been such a pleasure representing Angie Cockrell these past few years and watching her career blossom in to something very special. Her versatility as a performer is absolutely amazing, Country Blues, Christian, Folk, Jazz you name it, she sings it, and sings it well. If you have not had the opportunity to hear this golden voiced lady in person, your life truly has a void. 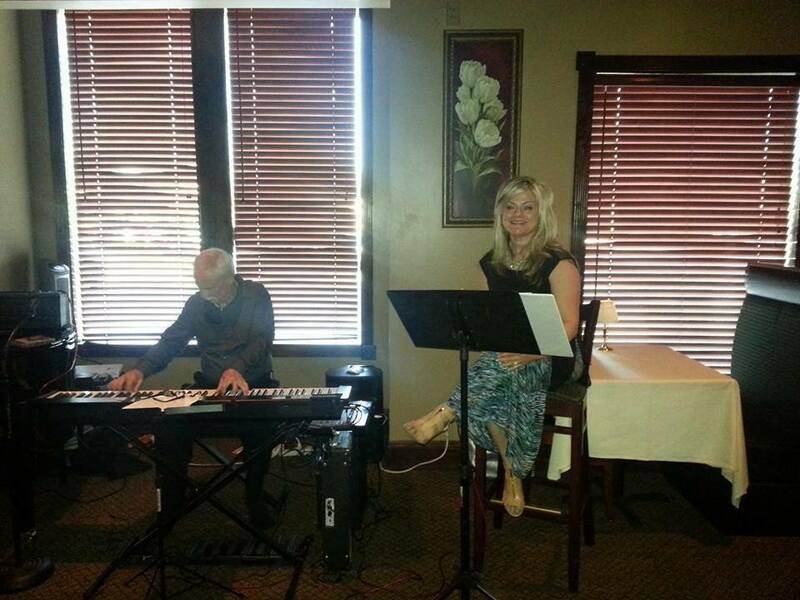 Every week Angie performs many of your favorite Jazz standards and various other of her favorite music at Bluestone Steakhouse for their Jazz Night. Accompanying her, as always, is the incredible Mike Leland on keyboard and together this duo takes the words “ear candy” to a whole new level. Bring your friends, relatives, co-workers, and neighbors, treat yourselves, to a fabulous evening of Jazz as you enjoy dinner in the wonderfully relaxing atmosphere of Bluestone. “This was just one of those moments in time where you just wished time would stand still and this would go on forever”. 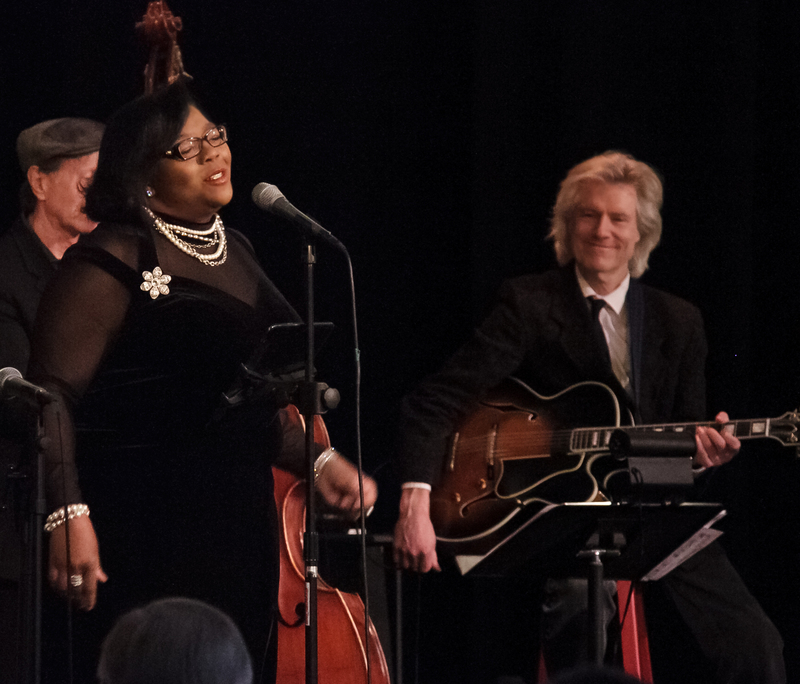 That’s how several people in attendance described Cynthia Simmons and the band’s performance Sunday night at The Oklahoma Jazz Hall of Fame. This was a much anticipated event and it didn’t disappoint, once the downbeat hit the magic began. 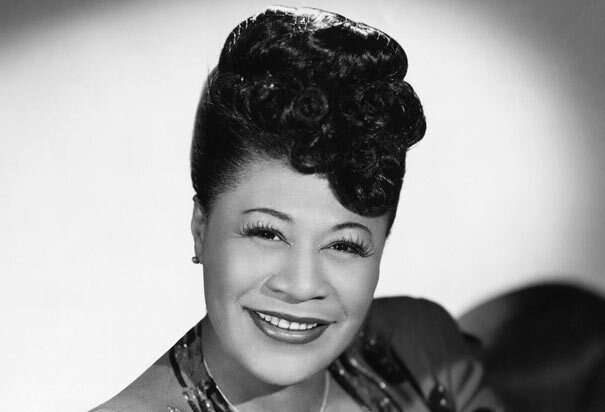 The night started with one of Ella’s most popular songs A Tisket A Tasket and then took you on a melodic journey through Ella’s life. You may have hopped on the A Train , In a Sentimental Mood, but that didn’t last long because the show was Too Darn Hott! One of the reasons this show was so successful was the all-star line up of musicians. Dean Demerritt, Frank Brown, Wade Robertson, and Dr. Mike Moore made the music come to life. Each musician, highly talented and respected in the jazz community, could have headlined this or any other show, but the crowd was treated to the collective sounds of this incredible group…and a treat it was. The Ear Candy just kept coming with songs like Paper Moon, Puttin’ on the Ritz, Bewitched, Bothered, and Bewildered, Do Nothing Til You Hear from Me, Cry Me a River and a wonderful rendition of Can’t We be Friends performed by Cynthia and Darell Christopher. Photos courtesy of Bill Gaddis Photography. This show was a TulsaJazz.Com Production. Jerome Dabney Performing at the Oklahoma Jazz Hall of Fame. My Oklahoma Jazz Hall of Fame tribute to Ella Fitzgerald-originally scheduled for this Sunday-has been moved to next Sunday, November 16. I’m recovering from an unfortunate bout of laryngitis, so Jerome Dabney and the Dean DeMerritt Jazz Tribehave graciously stepped in to take over this Sunday’s show. 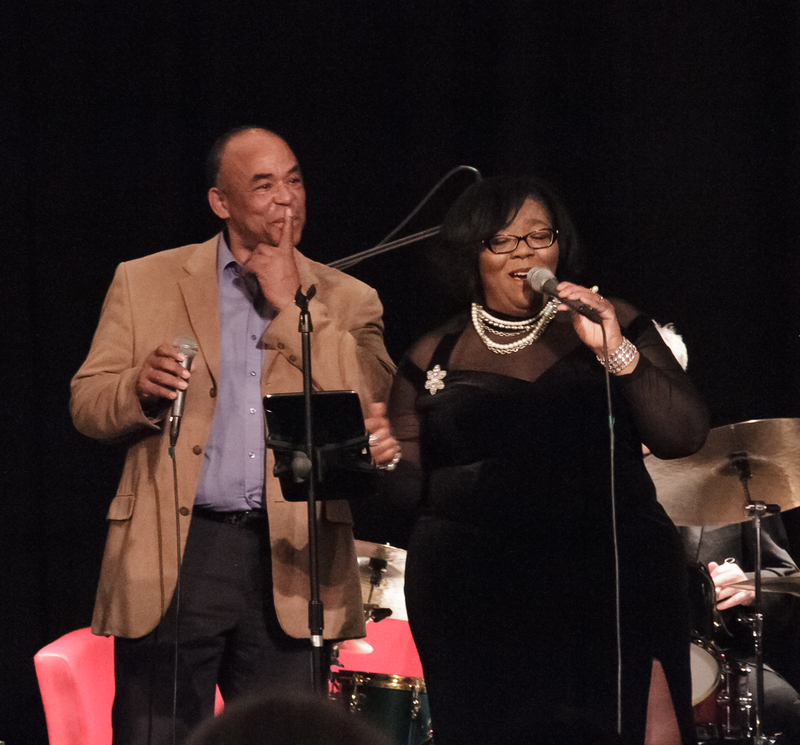 Vocalist Jerome Dabney–headlining his first Jazz Depot performance–has been delighting audiences all over the world for the last thirty six years, as he has performed on stage, in film, on world tours, and aboard cruise ships. Dabney performs alongside the Dean DeMeritt Jazz Tribe, featuring Scott McQuade on keys, Wade Robertson on drums, and DeMeritt on bass. 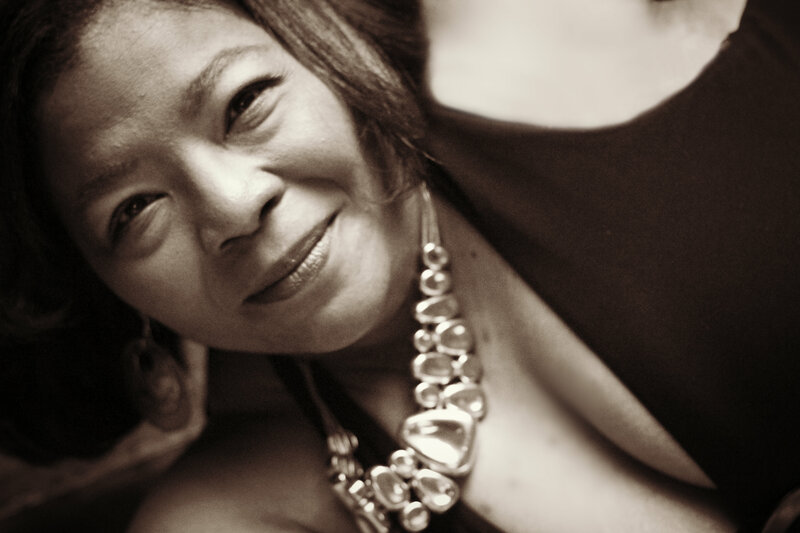 To enjoy the jazz, call Bettie Downing at (918) 928-JAZZ or purchase your tickets online. Members and Seniors enjoy discounted ticket prices at $10.00 each. General Admission tickets are only $15.00, or $20.00 for Reserved Table Seating. High school and middle school students admitted for only $5.00. Last month, Tulsa’s Jerome Dabney celebrated 30 years as a cruise-ship performer. And as he’s sung for those crowds over the past three decades, the entertainer known in the cruise industry as “Mr. Motown” has made quite a few adjustments to his repertoire. For the past decade or so, both on sea and on land, Dabney has done a lot to earn that “Mr. Motown” tag – which, he notes, is “a monicker one of the cruise directors I worked with gave me, and it kind of stuck.” Over the past decade, he’s toured internationally with Tribute – A Salute to the Temptations, branching out from Las Vegas to dates in England, Japan, and South America, as well as other spots around the globe. 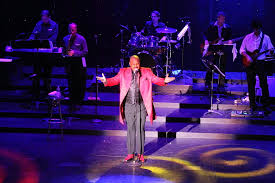 He also does a regular Motown show, a Stevie Wonder show, and, in 2012, toured Asia with the World Famous Platters, playing dates in the Philippine Islands and Singapore and appearing on a cruise ship in Malaysia. Sunday, however, Mr. Motown becomes Mr. Standards, as Dabney returns to the music he began performing on ships back in the mid-’80s. “Tenderly,” in fact, was the tune that brought DeMerritt and Dabney together. As DeMerritt remembered it, he and guitarist Frank Brown were hosting a jazz jam session in the Centennial Lounge of Tulsa’s VFW Post 577. It was July, and DeMerritt had just returned to his native Tulsa after spending several years on the Atlanta scene. In addition to DeMerritt on bass, Sunday’s Dean DeMerritt Jazz Tribe lineup includes Scott McQuade on piano and Wade Robertson on drums. An Evening of Jazz Classics with Jerome Dabney and the Dean DeMerritt JazzTribe is set to begin at 5:00 p.m. Sunday, November 9, at the Oklahoma Jazz Hall ofFame, located in downtown Tulsa’s Jazz Depot, 111 East First Street. Tickets can be purchased in advance online at JazzHallTickets.com or by calling Bettie Downing at 918-928-JAZZ (5299). General admission is $15, reserved table seating $20. Seniors and Jazz Hall members are admitted for $10, and high school and junior high students for $5. 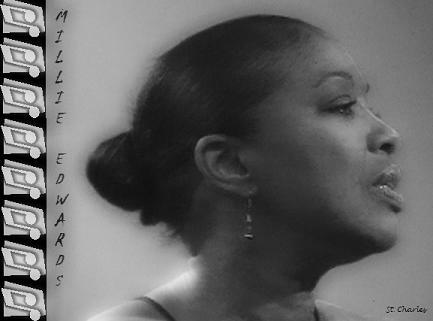 For the past quarter-century or so, vocalist Millie Edwards has been a fixture on the Kansas City jazz and blues scene. 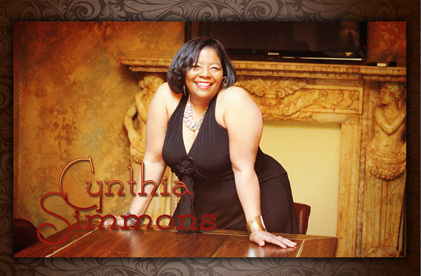 She’s been a featured performer on Jazz Cruises. She’s a member of the famed Wild Women of Kansas City vocal ensemble. She’s played festivals. And in her earlier life with a touring band, she sang in clubs and hotels throughout the middle part of the country for several years. Sunday’s show, however, will mark her first-ever appearance in Tulsa. Edwards learned about pleasing audiences during her college years. Growing up in a home where she heard jazz and blues as well as classical music, she studied classical piano at Ottawa College in Kansas. Then, she says, “I heard Elton John. He was classically trained, but he combined rock and the classics and developed a unique sound, which caught my ear. I was amazed at what the man could do. And that’s what told me, `I can do this.’ So I graduated with a degree in education, and as soon as I’d graduated, I went on the road and started singing – which didn’t make my folks happy,” she adds with a laugh. But even as she traveled the lounge circuit, through Iowa, Indiana, Illinois, and Missouri, she was listening to music by performers like Ella Fitzgerald, Billy Eckstine, Sarah Vaughn, and Frank Sinatra and practicing her jazz vocals. 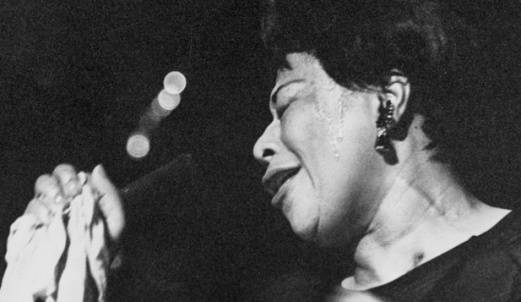 Then, in the late 1980s, she began playing the jazz and blues clubs in her hometown, quickly developing a following. 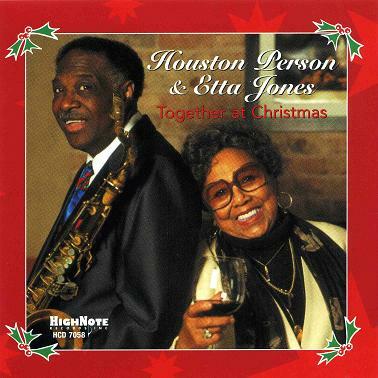 “My first big gig was warming up for [tenor saxophonist] Houston Person,” she remembers. “We had a place here in Kansas City called Bobby’s, and he and [his longtime musical partner] Etta Jones were going to be performing there. I was in awe of them, but I was in heaven. “After that, I started doing jazz cruises for the late Charles Earland, and I began working with [organist and Kansas City music icon] Everette DeVan. I have a group here called the Wild Women of Kansas City. Myra Taylor, who was a member of that group, passed away last year, but we’ve continued on. 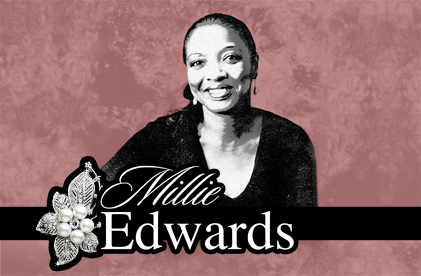 The Millie Edwards concert is set to begin at 5:00 p.m. Sunday, March 24, at the Oklahoma Jazz Hall of Fame, located in downtown Tulsa’s Jazz Depot, 111 E. First Street. Tickets can be purchased at the depot or by callingBettie Downing at 918-281-8609 General admission is $15, reserved table seating $20. Seniors and Jazz Hall members are admitted for $10, and high school and junior high students for $5. Edwards’ performance is a part of the Jazz Hall’s Spring Concert Series. The Oklahoma Jazz Hall of Fame is a 501(c)(3) non-profit cultural and educational organization, with a mission to inspire creativity and improve the quality of life for allOklahomans through preservation, education, and performance of jazz, our uniquely American art form.